The best Lodging in Lodge Grounds? Quite possibly! 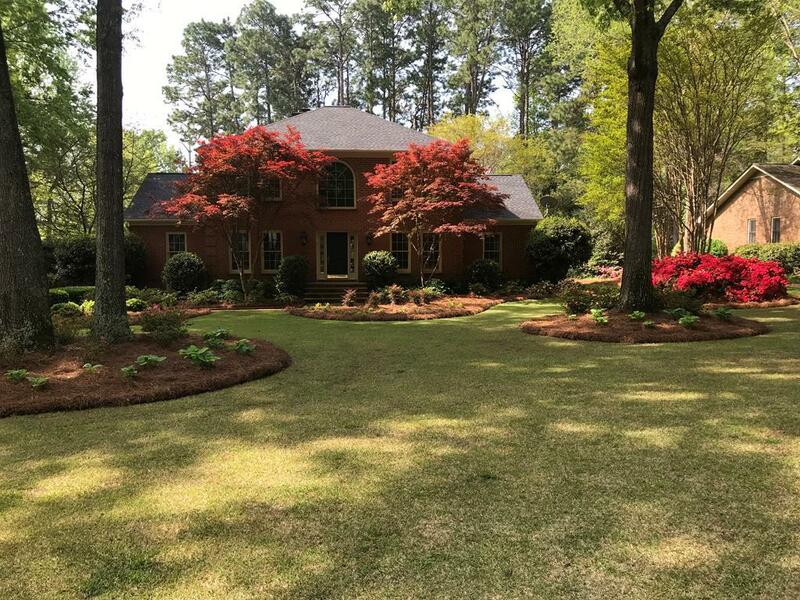 A beautiful, queen brick, traditional style home in popular and ever so convenient Lodge Grounds. 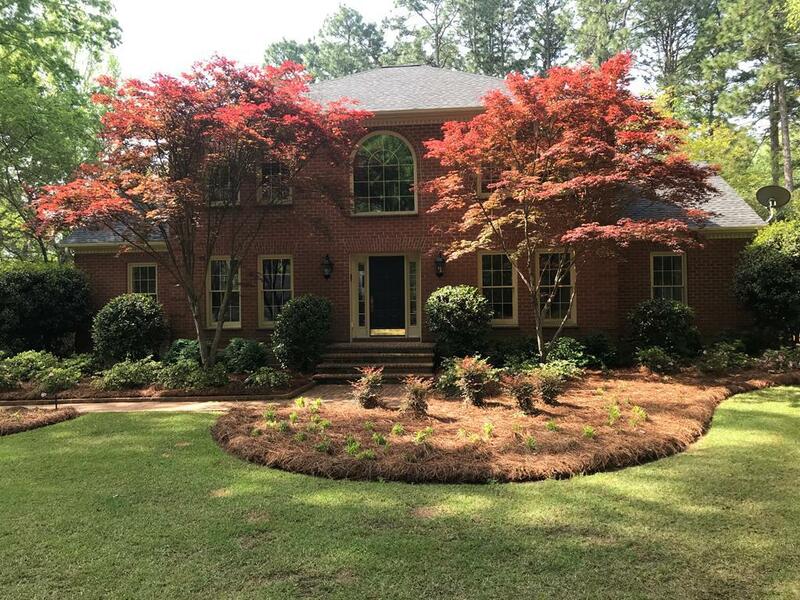 This home sits on almost an acre and is complemented by a meticulously maintained and irrigated landscape appointed with azalea, Japanese maple, dogwood, magnolia, hosta, etc., etc. Walk through the front door into a two story foyer flooded with light from the large Palladian window over the front door. Bring your large family or grow one here with five bedrooms, four baths plus two half baths including a huge bonus room with a full bath over the garage served by its own stairs that currently is counted as a bedroom. The living room has an all masonry fireplace that currently hosts gas logs but could easily be converted back to wood burning with a gas starter if preferred. The master bedroom is on the main floor. It has a whirlpool tub, double sinks, separate shower, marble tile and a walk in closet. French doors lead from the master bedroom onto an architecturally pleasing covered porch. Just to the side but still part of the porch is an uncovered grilling area. The porch then steps down to a patio laid of brick pavers in a basket weave style. There is a formal dining room for your dinner parties. The breakfast area combines with the kitchen that is flooded with natural light from the skylight above. The kitchen has corian countertops, a pantry and separate wine rack/workspace/closet. 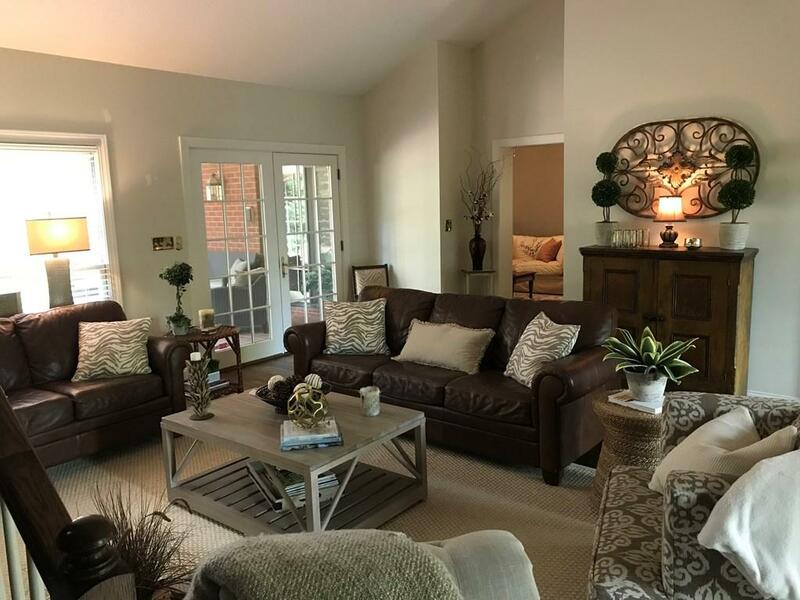 There is a very roomy family room with a vaulted ceiling that provides even more volume. The family room also opens onto the covered porch. The nearby laundry incorporates a deep sink to help with those wash day blues. Hardwoods cover the entire downstairs with nice molding throughout. There is storage galore with several walk-in attic access areas. And don't forget Fido because there's a 10' x 10' concrete dog pad with water access near the rear of the lot. Three relatively new HVAC systems cool the home efficiently. A gas pack and humidifier provide comfort in the cooler seasons. An 80 gallon gas hot water heater has a circulating pump to get you warm water quicker wherever you are in the house. A 30 year Timberline roof went on in January with a transferrable warranty. The attached garage also has a deep utility sink and closet storage. 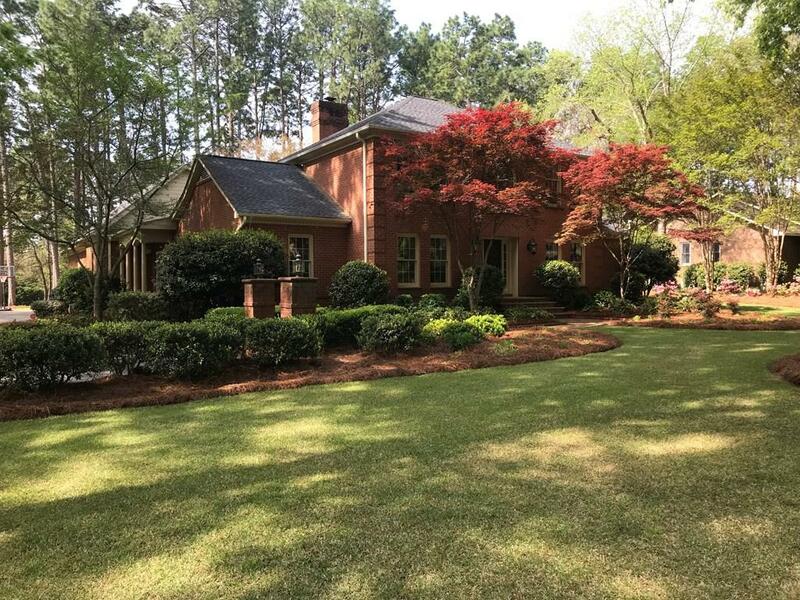 Even better, it has room for three cars or maybe two with a golf cart that gets you easy access to the Greenwood Country Club with all its amenities without ever crossing a busy road. Downtown is three minutes one way and the Bypass is about three the other way. Convenient living in a beautiful home in a great neighborhood it doesn't get much better than that!